Hello there stampers! 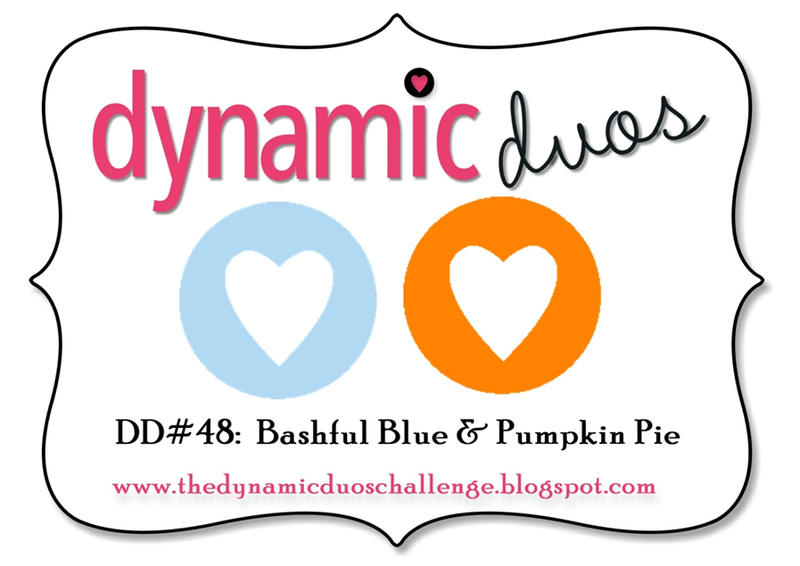 Well, after a hectic couple of weeks, I am so excited to be back over at the Dynamic Duos challenge. 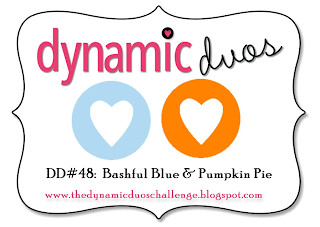 This week is "Soft and Subtle" week with a fab combo of Bashful Blue and Pumpkin Pie. 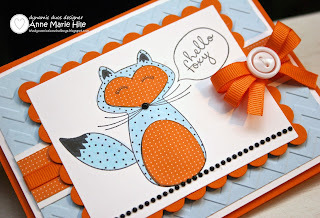 I did a little paper piecing and watercoloring on the Hello Foxy! single stamp. 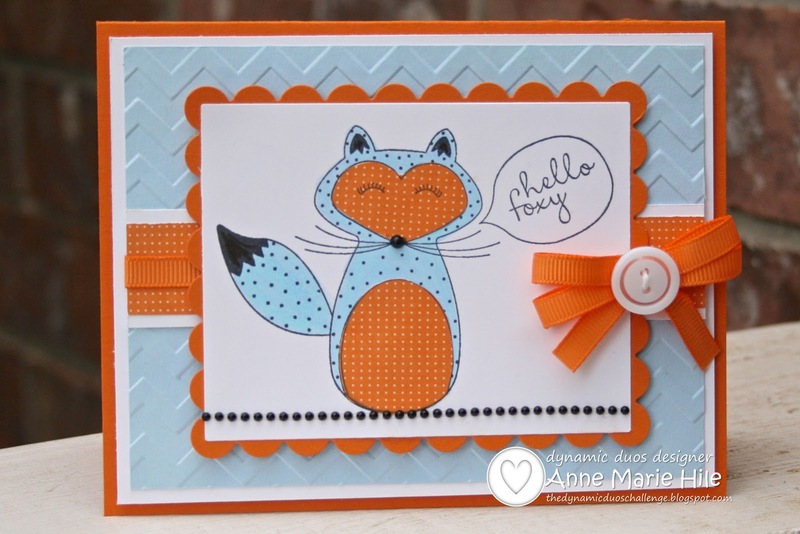 I've never seen a blue and orange fox either...but for the sake of this card and the color challenge. let's pretend they actually exist. Haha! I think this is such a fun image! I dressed up my "foxy lady" with a double bow, a simple button and some black pearls for her nose and as a decorative accent. The supplies I used are listed at the end of the post. Really cute, Anne Marie! I didn't purchase that stamp, but now I wish I would have....you've made it look adorable!!!! This is adorable Anne Marie! What a sweet little image and a fun design! O M G!!!! LOVE!!!!!!!!!!! Such a cute foxy lady! I love unexpected colors with an image- I mean, wouldn't he just look normal all brown or red? I like that you made him cuddly and sweet with these colors. Once again, I am in awe of your precision when making a card! HA! I thought I was the only one that had that very old Pumpkin DSP. This is so stinkin' cute! Again, so many lovely details. This is an adorable fun, cute image...made up into a great card with these colors! Your fur babies showing up on the left side of my screen are cuties too! Fantastic card, Anne Marie. ;-) Love the water coloring and paper piecing you've done. Perfect embellishments. Ack! So cute!! Love the combination of paper piecing and colouring - perfect image choice for these colours! So cute AM, love that foxy girl and your pretty bow with button!! LOVE the paper piecing! Such an adorable card.